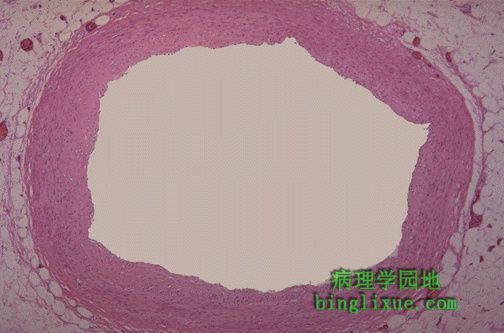 This is a normal coronary artery. The lumen is large, without any narrowing by atheromatous plaque. The muscular arterial wall is of normal proportion.